You are here: Home / books / What Did I Read in January 2018? Being it’s a whole new year, it’s a great time to start a new addition and make it a regular thing. Each month, I’ll be sharing with you all the books I have read the previous month. Giving you the stars I gave them along with a description from Amazon and linking to the book to buy on Amazon if you so choose. So look forward to each month to the books I read and a little of what I thought of them. 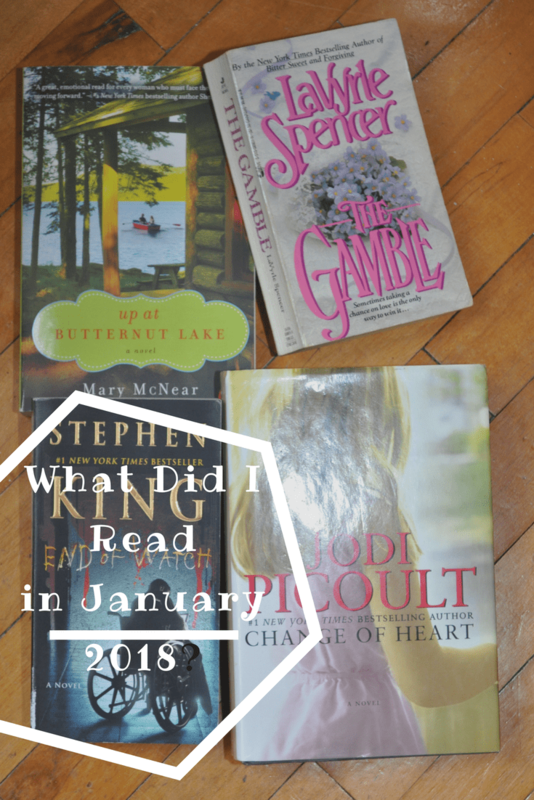 First, I was super duper excited that I read 6 whole books in January. I think that is the most I have read in a month in a very long time. Four of them were regular hardbound books and two of them were kindle reads. I am normally really slow on reading on my kindle but I must have done something right this last month. This was not a favorite of mine. The concept ended up being nice enough and interesting once I got into a bit. Overall though, it just was meh to me. Was actually super glad when I finished this one and could move onto a new book. One day June Nealon was happily anticipating a lifetime of laughter and adventure with her family, and the next, she was staring into a future that was as empty as her heart. Now her life is a waiting game—waiting for time to heal her wounds, waiting for justice. In short, waiting for a miracle. For Shay Bourne, life holds no more surprises. In a heartbeat, something happened that changed everything for him. Now, he has one last chance for salvation, and it lies with June’s twelve-year-old daughter, Claire. But between Shay and Claire stretches an ocean of bitter regrets, past crimes, and the rage of a mother who lost her child. I could not put down this book. I almost didn’t read it right now since it’s book 3 of the Bill Hodges Trilogy. I have read book one, Mr. Mercedes, but hadn’t read book two Finders Keepers. Thankfully, you don’t really have to read them in order though it totally does help. For nearly six years, in Room 217 of the Lakes Region Traumatic Brain Injury Clinic, Brady Hartsfield has been in a persistent vegetative state. A complete recovery seems unlikely for the insane perpetrator of the “Mercedes Massacre,” in which eight people were killed and many more maimed for life. But behind the vacant stare, Brady is very much awake and aware, having been pumped full of experimental drugs…scheming, biding his time as he trains himself to take full advantage of the deadly new powers that allow him to wreak unimaginable havoc without ever leaving his hospital room. Brady Hartsfield is about to embark on a new reign of terror against thousands of innocents, hell-bent on taking revenge against anyone who crossed his path—with retired police detective Bill Hodges at the very top of that long list…. This is one of the books I read on my kindle and flew through. A fast and heartwarming read in my eyes. I love books that take us on girls weekends/trips and show that special bond women can have. They’d met on their first day at school four little girls who were all very different from each other but who somehow became close friends. Their friendship has now lasted thirty-five years. As their birthdays all fall in the same week they long ago made a pact to spend each big decade birthday together. So far they’d managed it. 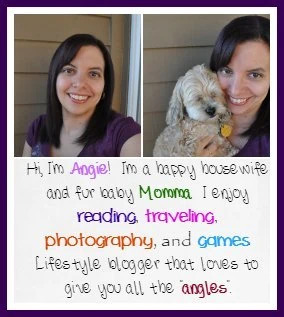 Now as their thirty-ninth birthday looms, Angel, a famous Hollywood actress, announces that this will be her last birthday. Terrified of aging, she absolutely refuses to turn forty. So Lexi, the mother hen of the group and an artist, invites them to Florida for a week-long celebration of this, their last birthday together. Brenda, mother to five grown-up children, flies in from Dublin, eagerly looking forward to her first foreign holiday ever. Mel, however, has to be pried away from New York where she is a successful partner in a law firm – Mel is a workaholic with no other friends or love in her life. The four come together for the celebration but soon things start to unravel and the week ends disastrously. Lexi is distraught. Can their friendship endure? Only time will tell. When I started reading this book I didn’t think I was going to like it all. It took me a few chapters and once I fumbled through those it got good. It’s a decent little romance that held me until the end. Butternut Lake is the first of a whole series of books centered around this lake. I loved this book. In my mind, I am relaxing by that said lake reading about these people’s lives. Quite enjoyable! In the tradition of Kristin Hannah and Susan Wiggs, Mary McNear introduces readers to the town of Butternut Lake and to the unforgettable people who call it home. It’s summer, and after ten years away, Allie Beckett has returned to her family’s cabin beside tranquil Butternut Lake, where as a teenager she spent so many carefree days. She’s promised her five-year-old son, Wyatt, they will be happy there. She’s promised herself this is the place to begin again after her husband’s death in Afghanistan. The cabin holds so many wonderful memories, but from the moment she crosses its threshold Allie is seized with doubts. Has she done the right thing uprooting her little boy from the only home he’s ever known? Allie and her son are embraced by the townsfolk, and her reunions with old acquaintances—her friend Jax, now a young mother of three with one more on the way, and Caroline, the owner of the local coffee shop—are joyous ones. And then there are newcomers like Walker Ford, who mostly keeps to himself—until he takes a shine to Wyatt . . . and to Allie. Everyone knows that moving forward is never easy, and as the long, lazy days of summer take hold, Allie must learn to unlock the hidden longings of her heart, and to accept that in order to face the future she must also confront—and understand—what has come before. My second kindle book for the month and I completely flew through this one. It kept me guessing and intrigued throughout the book and wondering what the heck was happening here. How it was all going to come together. How well do you really know your Facebook friends? My husband loves me. I love him. But, a secret is eating us alive. It’s not the one I keep from him. It’s not the one he couldn’t keep from me. And, someone knows everything. A stranger. A stalker. An online nightmare. I’ve got mail. A gripping psychological thriller from the author of international bestselling NO KISS GOODBYE.